With new environmental concerns affecting how we live our lives, the tourism industry is taking a long hard look at how they can be more responsible and sustainable. 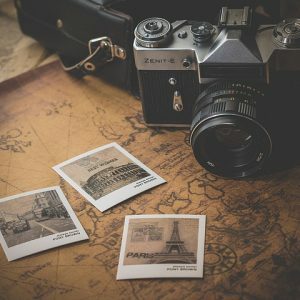 Travel and tourism have a major impact on the planet, from air travel to hotel waste, and sometimes desecration and disregard for local areas and culture. A new wave of travel is arriving, with people more aware than ever of their carbon footprint and their effect on the places they visit. Also called sustainable tourism or travel, responsible tourism is travelling to and visiting places mindfully. This means trying to cut back on emissions in getting to or around a destination. Instead of taking two flights, take one. Instead of flying, take the train or bus if you can. While you’re there, try to take public transport instead of a taxi, or consider renting a bike. And it’s not just the journeys you take that matter. Accommodation is a large part of the travel and tourism industry and hotels and hostels are taking measures to go green, too. From small acts like leaving signs to remind guests to use towels and sheets for longer, to recycling programmes and locally-sourced restaurant ingredients, there are lots of ways to ensure your accommodation is a conscious one. Now think about the way you visit a place. Are you learning about the culture and adhering to it respectfully? When you visit natural sights, are you careful about not littering or leaving any mark of your presence? Do you buy seasonal foods the country is known for from local markets or hit up the nearest international fast food chain? Contributing to small businesses and farmers is considered sustainable, keeping locals in employment and channeling money through small companies that have a significantly lower carbon footprint.